Many amateur astronomers have found a way to merge their interests in astronomy and photography. The art of photographing astronomical objects is known as astrophotography. With the right tools and equipment, and a lot of patience, astrophotography can yield some stunning results. The new age of digital photography has given astrophotographers a host of new tools for their hobby. Many amateurs can now achieve results that can rival the work of experts and professionals. This page features astrophotos that have been submitted by amateur astronomers and by some of the visitors to this site. If you are interested in having your astronomy photos posted here, please send us an e-mail with a copy of the photo in digital format. Submitted by: Domenic A. Izzi, Jr. This amazing view of the Milky Way was submitted by Domenic A. Izzi, Jr. It shows the spiral arm of our galaxy as seen from the inside. 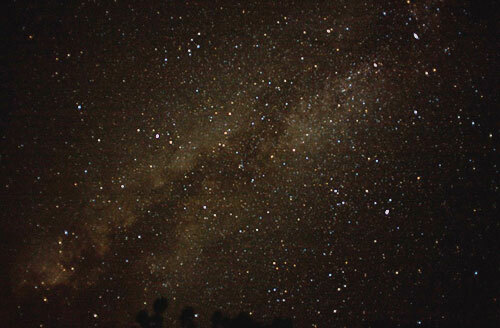 The Milky Way can be an an awe inspiring sight but requires extremely dark skies to be photographed. 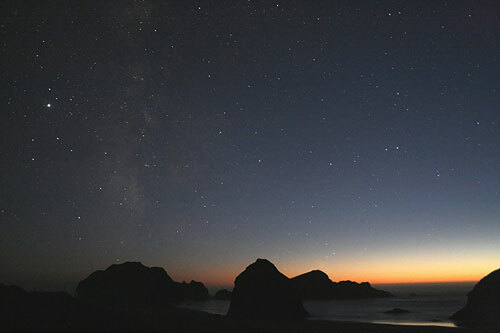 Early Fall sunset on the Southern Oregon Coast at Meyers Creek, Jupiter shining brightly over the sea stacks. The Milky Way can be seen on the left side of the image. In this image by Richard Glenn, the International Space Station (ISS) can be seen skirting the clouds on it's long journey across the sky. 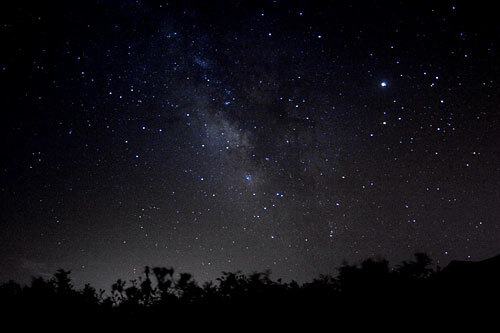 This image of the Milky Way over the horizon was submitted by Sara Khalafinejad. 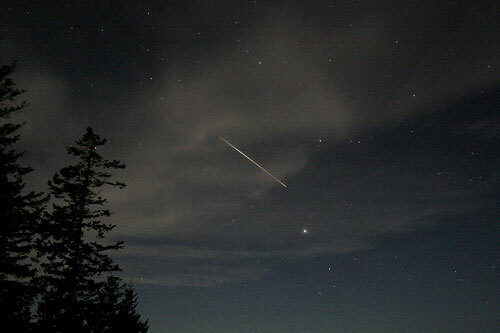 It was taken with a Canon EOS 30D digital camera at ISO 800 and a 30-second exposure at F 3.5. 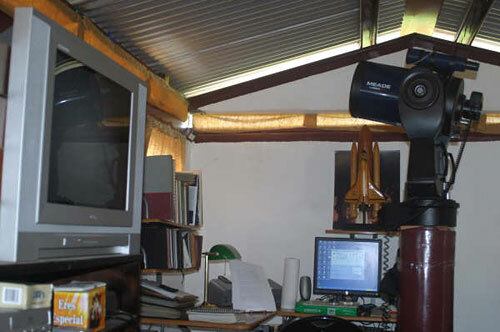 Ed Case from Dolega, Chiriqui, Panama shared an image of his new roll-top observatory. He just recently completed the new observatory after retiring in Panama. View of the Moon during first quarter as seen through my 10-inch Meade Schmidt Cassegrain telescope in Orlando, Florida on 7/10/89. This image was captured on Kodak Ektachrome 200 color slide film. 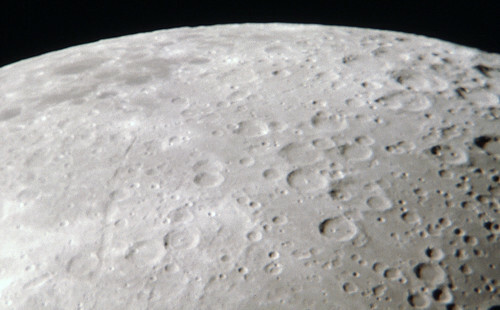 Several craters, mountains, and flat areas known as maria are visible in the image. Closeup of the Moon surface during first quarter as seen through my 10-inch Meade Schmidt Cassegrain telescope in Orlando, Florida on 3/14/89. This image was captured on Kodak Ektachrome 100 color slide film. 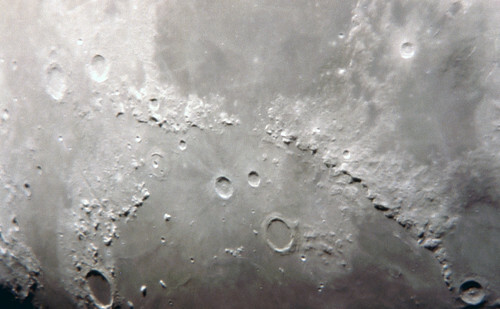 Several craters are visible in the image. Closeup view of the Moon surface just after first quarter as seen through my 10-inch Meade Schmidt Cassegrain telescope in Orlando, Florida on 2/14/89. This image was captured on Kodak Ektachrome 100 color slide film. 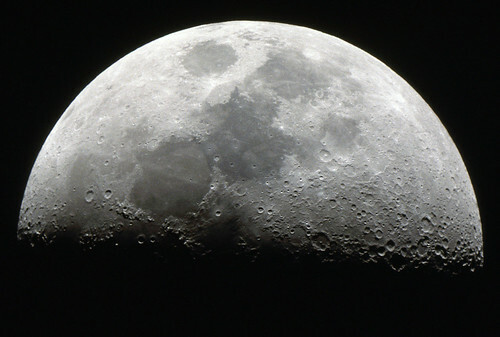 Several craters are visible in the image. 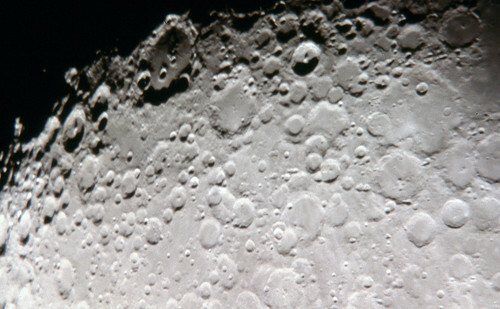 Closeup view of the Moon surface just after first quarter as seen through my 10-inch Meade Schmidt Cassegrain telescope in Orlando, Florida on 2/14/89. This image was captured on Kodak Ektachrome 100 color slide film. Several mountains and craters are visible in the image. 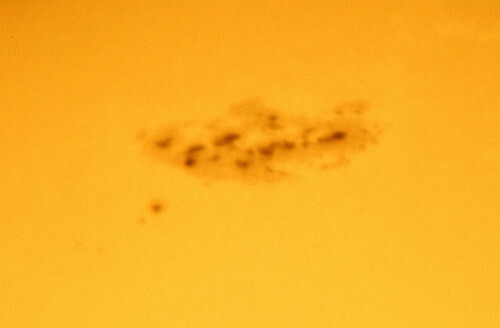 Closeup large sunspot group as seen through my 10-inch Meade Schmidt Cassegrain telescope in Orlando, Florida on 3/14/89. This image was captured on Kodak Ektachrome 100 color slide film with a Thousand Oaks full-aperture glass solar filter. The large group of sunspots on right of the image were responsible for one of the only known occurrences of the Aurora Borealis in Florida.